Description: Despite being banned by the Collingwood Elvis Festival and receiving numerous legal notifications from Elvis Presley Enterprises, “KING FOR A DAY”, a documentary film produced by Tracey Johnston and Tom Strnad from Mountain Goat Film Company Inc. will be released on April 1st with a limited engagement at Simcoe Street Theatre in Collingwood. This film explores the Elvis contest phenomenon in Collingwood and the world about greed, corruption and cultural abduction. Both Tracey and veteran film producer, Tom Strnad felt this was an important story that represents more than just Collingwood. Tracey shares her experience and some of the challenges faced while creating this documentary. BEACH CORNER from Beach BOOSTER Radio, Wasaga Beach's truly LOCAL radio, available ON DEMAND on any device from out Podcast Page. Please enjoy and SHARE! 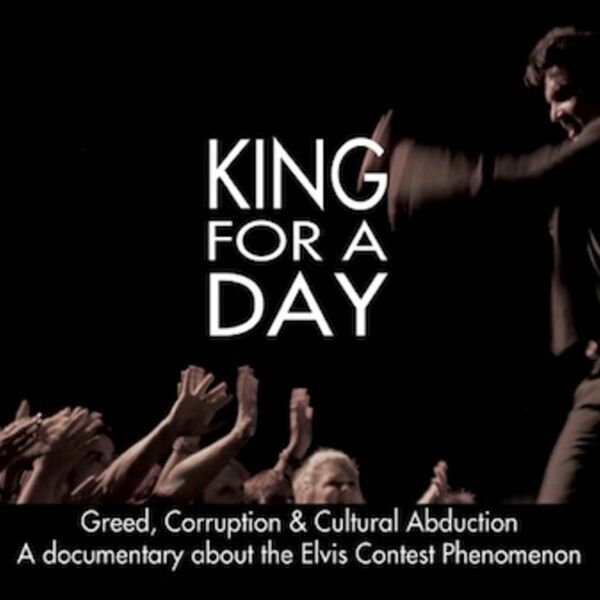 Despite being banned by the Collingwood Elvis Festival and receiving numerous legal notifications from Elvis Presley Enterprises, “KING FOR A DAY”, a documentary film produced by Tracey Johnston and Tom Strnad from Mountain Goat Film Company Inc. will be released on April 1st with a limited engagement at Simcoe Street Theatre in Collingwood. This film explores the Elvis contest phenomenon in Collingwood and the world about greed, corruption and cultural abduction. Both Tracey and veteran film producer, Tom Strnad felt this was an important story that represents more than just Collingwood. Tracey shares her experience and some of the challenges faced while creating this documentary. BEACH CORNER from Beach BOOSTER Radio, Wasaga Beach's truly LOCAL radio, available ON DEMAND on any device from out Podcast Page. Please enjoy and SHARE!